I write books because I want to convert people to my own ideas. Using direct quotes in essays in a great way to support your ideas with concrete evidence and to make your argument come alive. Also it helps to support your topic or your thesis. Michel de Montaigne could be considered one of the first writer to employ quotes of ancient authors to get inspiration for his Essais, a collection of a large number of short subjective treatments of various topics published in 1580, inspired by his studies in the classics, especially by the works of Plutarch and Lucretius. Montaigne’s stated goal is to describe humans, and especially himself, with utter frankness. Montaigne’s writings are studied as literature and philosophy around the world. The Essais exercised important influence on both French and English literature, in thought and style. Francis Bacon’s Essays, published over a decade later, in 1596, are usually assumed to be directly influenced by Montaigne’s collection, and Montaigne is cited by Bacon alongside other classical sources in later essays. Though Bacon considered the Essays “but as recreation of my other studies”, he was given high praise by his contemporaries, even to the point of crediting him with having invented the essay form. Later researches made clear the extent of Bacon’s borrowings from the works of Montaigne, Aristotle and other writers, but the Essays have nevertheless remained in the highest repute. The 19th century literary historian Henry Hallam wrote that “They are deeper and more discriminating than any earlier, or almost any later, work in the English language”. Bacon’s genius as a phrase-maker appears to great advantage in the later essays. In “Of Boldness” he wrote, “If the Hill will not come to Mahomet, Mahomet will go to the hill”, which is the earliest known appearance of that proverb in print. The 1999 edition of The Oxford Dictionary of Quotations includes no fewer than 91 quotations from the Essays. Although, Bacon is called the father of English essays yet he cannot be ranked with the essayists like Charles Lamb and Montaigne. He has unique status among all the essayists. Hugh Walker remarks about Bacon’s essays: “His essays are brief and full of condensed antithetical sentences which have the proverbial expression.” We can refer to the words of Ben Jonson in praise of Bacon: “No man ever spoke more neatly and more wittily than Bacon. Bacon’s essays have a peculiar charm and taste of their own like grains of salt. They may be read and re-read, successive reading would not cloy the appetite. Just as the addition of salt makes a dish tasty and appetizing so also Bacon’s essays rather sharpen the hunger of the readers for knowledge. Will Durant says: “These essays are like rich and heavy food which can’t be digested in large quantity at once but taken four or five at a time, they are the finest nourishment in English.” To conclude, we can say that Bacon is a great essayist. These essays are proofs of Bacon’s intellect. 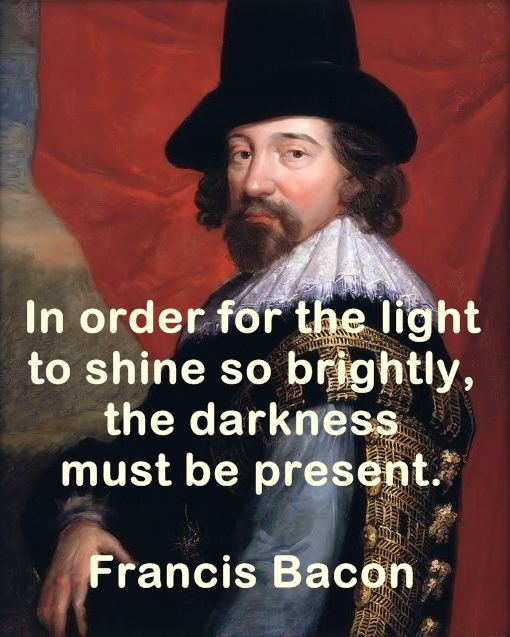 Bacon is very wise man and moral and worldly wisdom is reflected in his essays. No matter what you want to write or say, somebody else might have written or stated it very effectively, convincingly, or persuasively. In addition to helping you make your presentation or writing more successful, quotations can also help you generate new ideas. How many times have you sat at your desk, staring at a blank piece of paper or your monitor, trying to figure out the “perfect” line or sentence for your presentation, newsletter, or article? Before I started using quotations to develop ideas for my articles, I sometimes would gaze at a blank piece of paper for hours, trying to come up with the “right” words. After discovering the exciting world of quotations, I now can produce good ideas quickly by reminding myself what some of the wisest people have said about a specific topic. You can also do the same. For example, if you’re giving a speech writing an article about “forgiveness,” one of the greatest quotes ever written or spoken on this subject was from Mark Twain: “Forgiveness is the fragrance the violet sheds on the heel that has crushed it.” Wow! Wouldn’t you agree this sentence alone could summarize your whole presentation or article on forgiveness? You and I could ponder for days or even weeks and still might not be able to come up with a definition for forgiveness that’s half as powerful as Mark Twain’s. Many of today’s best-selling authors and top speakers use quotations by other authors and speakers to make their points more concise. Since one of the main goals of your presentation or article is to get the audience or reader to take immediate action, whether to buy your product or elect you president of your company, you need ways to make your message more persuasively. By using excellent quotes in your book, newsletter, article, speech, or presentation, you’ll be able to get your points across to your audience or readers quickly, inspiring them to act right away and do so with a high level of conviction.